Unleash the power behind what already generates nearly 45% of all contributions to colleges and universities today – yet still leaves more than $100 million on the table. 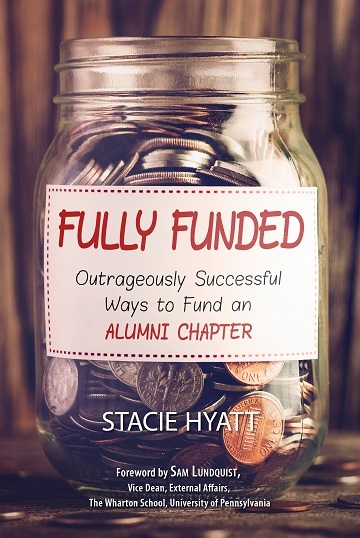 This must-have guide is a one-of-a-kind, fresh, modern look at how to more successfully, easily and effectively generate the capital to fund events, scholarships, charitable causes and operations of alumni clubs, chapters and groups - for colleges, universities, sororities, fraternities, high schools, and other volunteer alumni groups. It is uniquely written from the volunteer chapter leader perspective, yet is deferential to the authority of alumni relations. - FREE accompanying documents - including a budgeting template! Colleges and universities referenced include large, small, public, private, secular, faith-based, women's and historically black institutions representing 38 states and 28 athletic conferences. The Foreword is written by Sam Lundquist, Vice Dean, External Affairs, the Wharton School at the University of Pennsylvania.